Lack of clean water is a reality for one out of every six people living today. In some parts of the world, half the population does not have access to safe drinking water. In the United States, the U.S. Environmental Protection Agency (EPA) sets the allowable level of certain contaminants in tap water provided by public water systems. Contaminants in untreated water may include microorganisms such as viruses and bacteria. Clean water was a sought-after commodity in Boston this weekend. A massive underground pipe rupture which left two million residents without drinking water was a blunt reminder of something most of us take for granted but which many in the world go without everyday. The official city-wide warning went out Saturday afternoon. Boston and 30 surrounding municipalities instructed their residents to boil all water before drinking. This “boil order” was issued because the backup water supply quality was comparable to “untreated pond water,” acceptable for bathing and flushing toilets, but not for drinking or cooking. Fortunately, making water clean enough for drinking was not difficult for us, as we have the MSR MIOX purifier in house. The MIOX will kill much of the harmful biologicalcontaminants in less than 30 minutes: viruses in 15, bacteria in 15, protozoa in 30, and cryptosporidiumin four hours. It does this by creating an oxidant solution which is then poured into the water to destroy any microorganisms. This approach is more effectivethan clorine or iodine, a lot faster than boiling, and less costly in the long run. 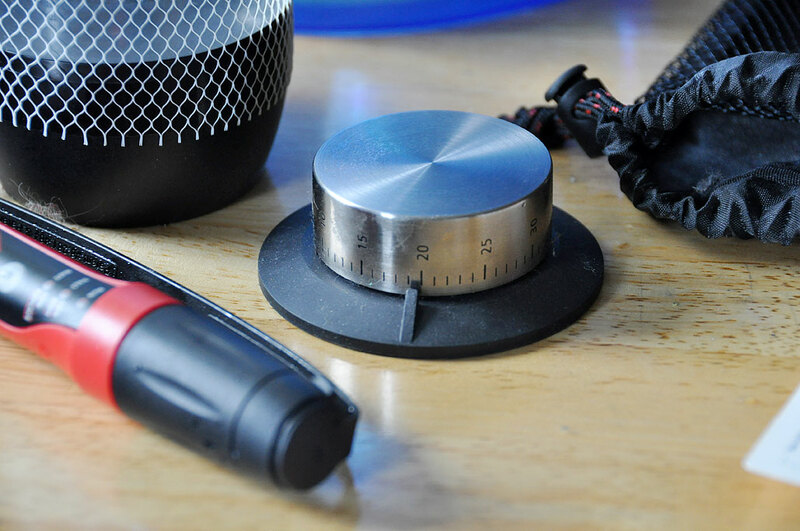 Each purifier utilizes two 3V lithium camera batteries, any type of salt and a tiny electrolytic cell. Rock salt and batteries are included. The CR123 lithium camera batteries will treat about 200 liters of water before needing replacement and have a 10 year shelf-life. They are typically available for about $10 a set. The purifier can be used over and over, making water treatment an inexpensive procedure after the initial purchase. An important feature of using simple salt as the disinfectant source is that salt has an infinite shelf life, so the purifier will still function even if stored without use for a long period of time (4 years since our last use). The electrolytic cell has a few metal parts. Looking down from the top into the purifier one sees a 3/8″ diameter titanium post in the center; this is the cathode. The inside of the barrel of the plastic outer case is a piece of titanium tubing; this is the anode. An electric current is conducted by the brine solution between the two halves of this electrical circuit to create the MIOX oxidant solution (hypochlorous acid and chlorine). 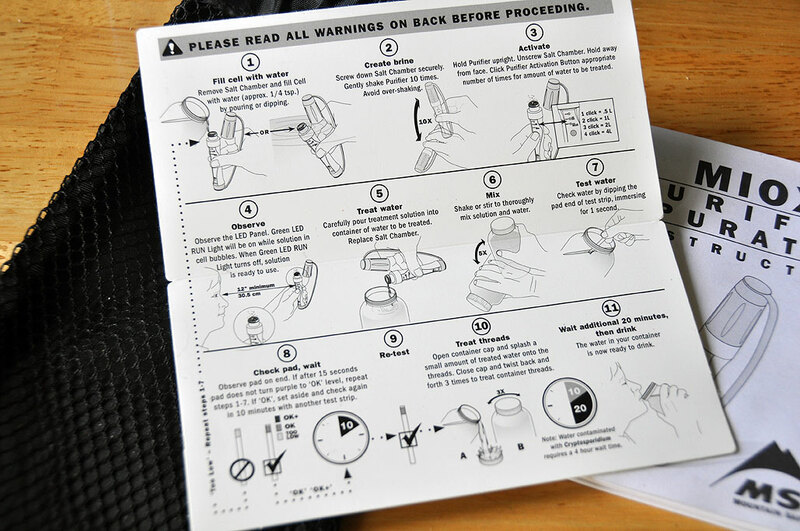 The ½ teaspoon of mixed-oxidant solution generated by the purifier is poured into a canteen or water bottle and allowed to sit for 30 minutes. The purifier also comes with a vial of purity indicator strips (pH test), which guarantees that the water is safe to drink after the appropriate waiting period. There is also an “overkill” protocol for when one does not have ready access to any test strips. The MIOX purifier will inactivate all bacteria and viruses within 15 minutes and will inactivate the protozoan cyst Giardia within 30 minutes. Inactivation of the more resistant Cryptosporidium parvum oocyst is NOT required in the EPA Purifier Protocol. In independent testing on the MSR MIOX Purifier, BioVir Laboratories, a government-qualified laboratory employing “Good Laboratory Practices,” started with 100,000 Cryptosporidium oocysts. This excessive concentration of Cryptosporidium would be highly unlikely to occur in natural waters. A three-log (99.9%) removal of 100,000 oocysts would reduce the viable organisms to 100 oocysts. The MSR MIOX Purifier actually achieved more than 10 times the standard for protozoan cysts, accomplishing a four-log (99.99%) removal in 4 hours, which equated to less than 10 viable oocysts, even in the more challenging test water. Some folks at RainyDay commented that the taste of treated water was a little “swimming pool-ish.” It may be because we had “activated” the solution a few times to get the shot of the green LED 🙂 In any case, a quick pass of the decontaminated water through the ZeroWater filter took care of the light clorine “flavor.” If you want a nice compact/portable water purifier, we can’t think of a better choice than this MSR MIOX. 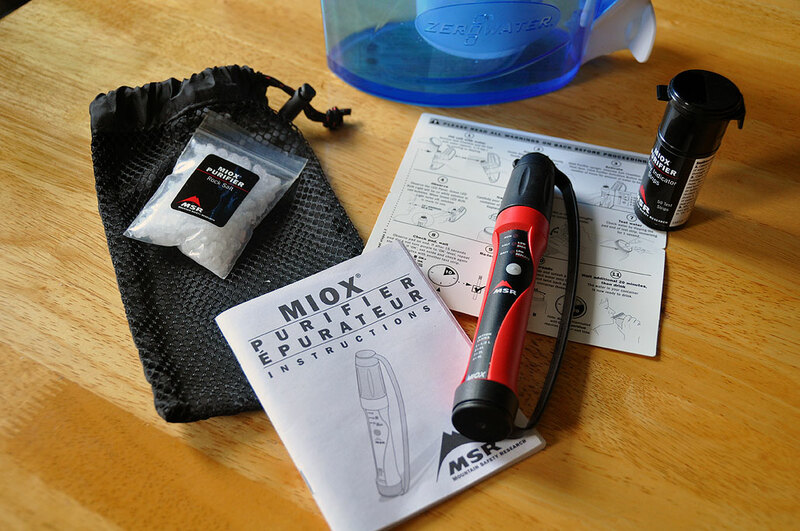 Emergencies may not happen all the time, but clean water can be had anytime…if you have the MIOX water purifier.